The trouble with Nigeria is not a lack of good leaders, it is that far too many people (men and women, boys and girls, sadly) obsess about a funny game which involves an inflated leather ball being kicked about between two gateposts with nets at the back. A sport that heralds the end of summer and the death of light that is winter in the northern hemisphere. The sport is sometimes referred to as 'soccer' (by Americans, who like to pretend that what they call football is a global sport, which it is not) but more commonly known as football. There is no real strategy to the thing, apart from minor worries about team formation (4:3:3:1 etc.) and buying and selling players. The captain doesn't really do anything except wear an armband. I suppose its popularity stems from its lack of depth and sophistication. It can be great to watch, but its basically coca-cola: the sugar rush of excitement is quickly forgotten. There is no scope for an epic contest. No one puts great achievements up in gold letters in oak-panelled rooms anywhere.. In massive contrast, of course, is the game of cricket: gloriously multilayered, with strategy, tactics and ordinary operations available in abundance. Cricket is collective chess for 22 people; a celebration of the earth and the sky; a one-on-one contest in a team setting. Cricket is the past and the future, with perhaps 2 billion adorers and growing (China is coming on board as we speak). Lest we not forget, cricket is an older sport in America than baseball. Lagos-team Fegocowosa have an excellent website for those curious to mend the error of their ways. 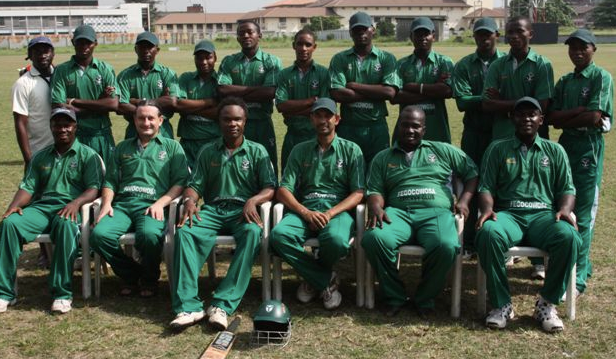 The Nigerian Cricket Federation site is not bad either. Did you know that Naija's Under 19 squad is in Africa's First Division? Did you also know, that thanks to the VP, cricket is now compulsory for schoolkids in Kaduna State? Alhaji Sambo is a man of great vision and accomplishment. You know so little about football, its laughable! Everything should be made simple, and not simpler. WHAT?!?!? CRICKET IN NIGERIA? PLEASE TAKE THAT BACK WHERE IT BELONGS, WE DON'T WANT IT. Even though there is a real passion for cricket amongst those who play it (I've played a few seasons in the Lagos league and it's great fun albeit too hot!) the problem of facilities and coaching makes widespread development of the sport almost impossible. I know a few people in their 50's and 60's who learnt the game back in school but nowadays it's almost non existent. Also the trouble is there is NO sport in Nigeria that is probably run, that has adequate facilities or high level sponsorship. Even the mighty football is a disaster locally.